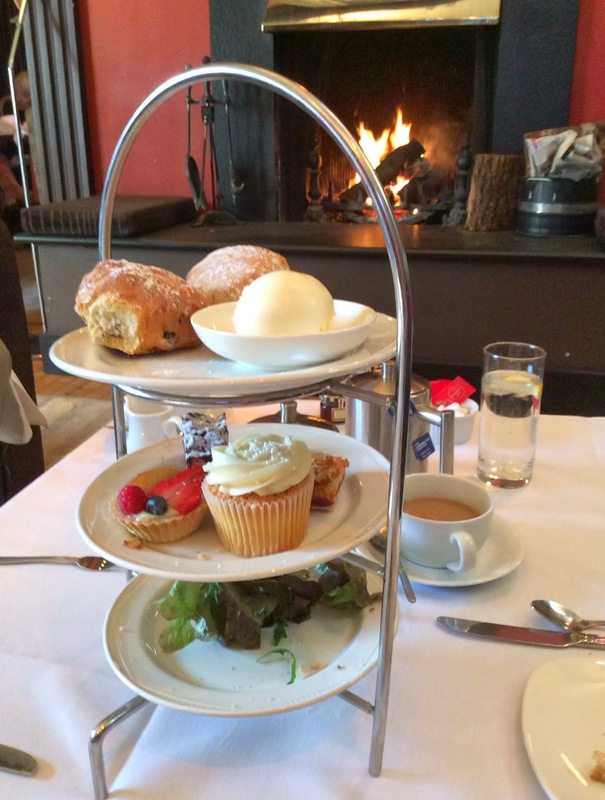 We went off for a hotel Afternoon Tea last weekend and had a lovely time sat on sofas in front of an open fire! We chose Donnington Valley Hotel in Berkshire, which is set in the country near Newbury. 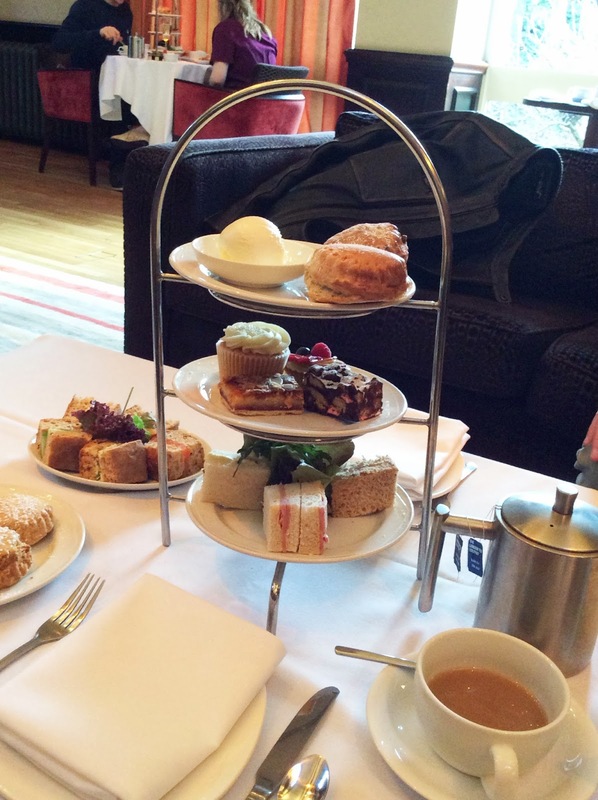 We booked the Afternoon Tea the day before and were able to say where we fancied sitting. The receptionist was very helpful and gave us the idea of sitting in front of the fire because she said it was very cosy! I asked for a Gluten-free option for me, which they seemed happy to accommodate. When we arrived in the bar area the table was all set-up even though they took a few moments to place our booking. It was a Saturday so probably the hotel's busiest day and there was a wedding going on too, but there was still a very relaxed atmosphere. Once we sat down, we were asked which tea we'd like and we asked what teas they offered. The lady offered a range of teas including herbal teas, but she didn't seem too confident explaining them and to keep it simple we went for an English Breakfast tea. It can go either of two ways when you ask a place about their teas; it's either a bit of a blank reaction "Tea you numpty??" or you'll find people who explain it a bit further. I think a tea menu is the best way for an establishment to advertise the different teas on offer and if you see a menu, you're more likely to find people who understand fine (real) teas. It also gives you a chance to browse it over rather than the waiting staff having to memorise the teas on a busy day. The tea came along quickly but we waited about twenty minutes for the food. Normally I might be a bit of a stress-head about that, but in actual fact it was nice to sit and unwind and take our time. You can just about see the couple in the background having a Champagne Afternoon Tea, which is a really sweet idea I thought, maybe for next time. The tea label told us our tea was from The London Tea company, which was a nice surprise. I'm not sure if it was in tea temples or standard tea bags and for some reason I didn't check. Quite nice though! I LOVE tiered cake stands so was pleased to see this set-up, and it all felt very posh along with the napkins. All the food on the cake stand was 'normal' as opposed to the sandwiches and cakes on the plates, which were my gluten-free option. I think they were on separate plates so I didn't get confused (easily done!). 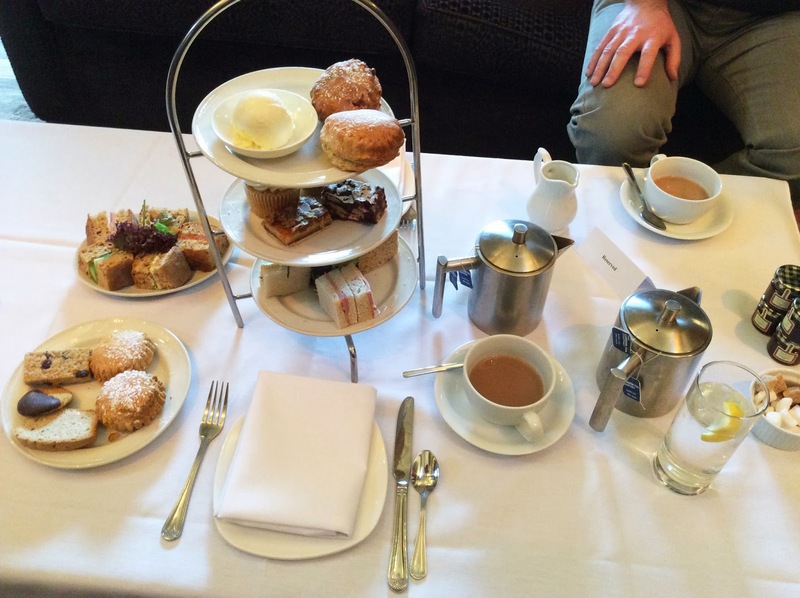 There were about four sandwiches and two scones each with fresh cream and a selection of cakes. We were really pleased with the selection of food and it all felt fresh, apart from the standard scones, which weren't as warm as the gluten-free ones and didn't break apart easily. I think if I was being super-picky, i'd say more cream as it was a bit tight between eight sides (what? I like cream!). I didn't get to try each cake as I went into a food coma by then! I managed the biscuit dipped in chocolate though (always room for chocolate) and that was very nice as well. We had a relaxing afternoon and the fire-side seating area was lovely, especially this time of year when it hasn't warmed up yet! In retrospect, i'd say chairs are probably easier when it comes to sorting out your scones as the sofas were a little too relaxing! I almost had a lie down after eating all that! We left paying just under £30 for two, which we felt was really good value. 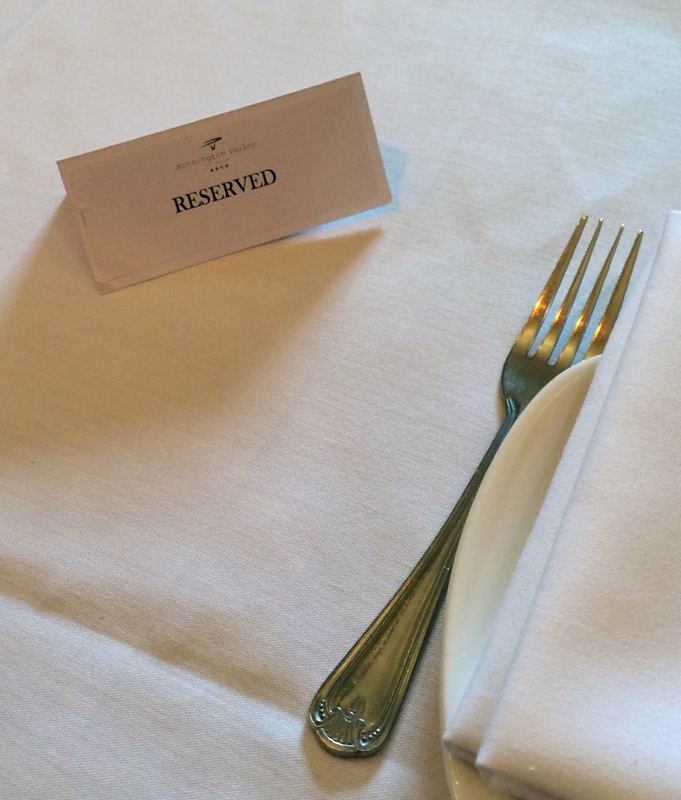 Relaxed, comfortable setting and a good range of quality food. A few more details on the teas and some whole leaf tea options and it would be perfect!